HP is offering free six pack abs. Not really, but they are offering up six free apps, including the highly touted Glimpse for TouchPad. The following apps are available to TouchPad users, all for the price of free. Just enter the code listed next to each app. Glimpse (Inglorious Apps, $5, injoj55410gavxv): Amp up your TouchPad multitasking to 11 using this customizable and addictive split-screen interface. Kung Fu Panda 2 Storybook (zuuka, $2.99, eotss76676jjzqr): Enjoy images and voices from Kung Fu Panda 2 right on your TouchPad. Big Boss (Fair Play Labs, $1.99, vfimk09918lngoz): Design your “ Boss” – a gigantic monster – and attempt to defeat the brave heroes and powerful wizards of WackyLands. Sparkle HD (10tons Ltd., $4.99, pweuq32135vrbhx): Save Crowberry Woods in this TouchPad version of the popular desktop game. Camera for TouchPad (Keen Studios, $0.99, rijon62171nhvtu): Start snapping away, with options for managing your photos and using them with other TouchPad apps. Audubon Birds (Green Mountain Digital, $14.99, jjiox66488ddnik): This searchable digital field guide to North American birds offers stunning photography and thrilling (trilling?) bird songs. $99 TouchPads, free apps. The craziness continues and that’s a good thing for webOS users. Mobile People Search: Immediate access to the most comprehensive source of phone numbers and addresses. 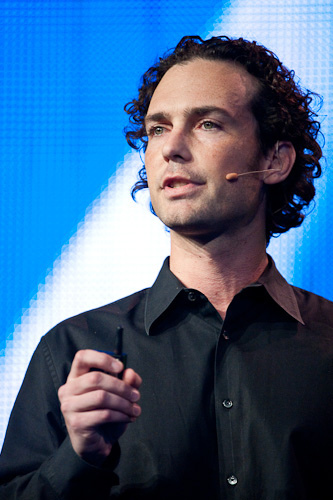 WhitePages’ database includes contact information for over 200 million people — that’s 90 percent of the US population. Local Business Search: By detecting user location, WhitePages’ easy to use business search provides fast results for nearby businesses by name or by category. Location Aware Store Locator: Popular stores are automatically suggested based on device location, with one-tap access to over 1 million verified businesses to find the best results fast. Reverse Phone Lookup: Putting a name to unknown numbers with ease, standard WhitePages search finds landlines and businesses, and premium search options are available for cell phones and other hard to find numbers. Save to Contacts: Add caller name, address and number to the phone’s address book with just one tap. The developers haven’t simply replicated the app from other platforms. They’ve gone one step further to provide deep integration specific to the webOS platform. Integration with ‘Just Type’ webOS universal search to easily find and update phone numbers, email and physical addresses not already in users’ phone address books. A groundbreaking new cross-linking capability that allows app developers and merchants to use a simple “W” icon to populate order forms and delivery forms with WhitePages listing information within their own application. The FTD Mobile Florist and YouView Visual Voicemail webOS applications are supporting this today, with more applications to come. For HP webOS Homebrew enthusiasts, a patch is now available that enables phone number lookups directly from the phone dialer to identify unknown callers with a single tap. WhitePages on-the-go app will be available in the HP App Catalog and the always attractive price of free. Troubling news today out of the Bank of America Merrill Lynch technology conference. 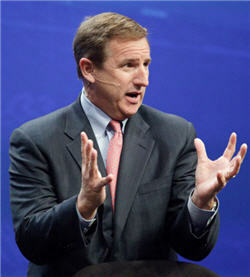 HP’s CEO Mark Hurd spoke at the event and his comments don’t bode well for webOS as a smartphone platform. What’s this all mean? Well, approval of the sale is not complete, but this likely wouldn’t be a deal breaker. These remarks certainly won’t help sales of existing devices or developer interest, which has us wondering why? The comments strike this author as if odd if HP has any interest in getting back in the fight. If we hear word from Palm or HP that provides some clarification, we’ll be sure to pass it along. Palm has released a minor update to Facebook for Palm webOS. Version 1.2.1 is available for download in the App Catalog now. The 1.2.1 update addresses an occasional news feed bug and other minor issues. Facebook for Palm webOS 1.2 includes customizable webOS notifications, support for Facebook videos, keyboard shortcuts, and more. Let us know how the improvements are working for you. Need some relaxation from everyday stresses or just want to add some soothing sounds to your Palm Pre? 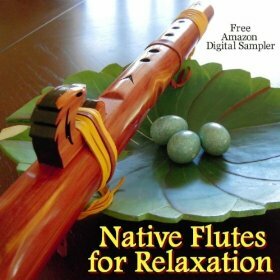 Amazon MP3 has you covered today with a free download of Native Flutes for Relaxation. Those of you with Amazon MP3 on your Palm device, can search, download and listen directly to your webOS device. 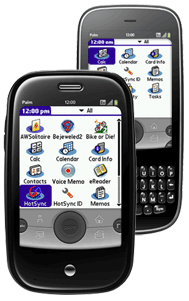 If you are looking to run Palm OS apps on your webOS device, Classic by MotionApps is the de facto application when running legacy Palm apps. To celebrate Earth Day (which is today), MotionApps is running a limited time Classic Going Green promotion. Classic, normally priced at $29.99, is now available for $19.99. If you’ve got a desire to run all those great Palm OS apps on your webOS device, you’d likely want to jump on this offer. They offer a fully-functional test drive and it’s not clear if the promotion price ends tonight. One of the more important apps for any platform is Facebook and clearly Palm recognizes this with consistent improvements in Facebook for webOS. The lastest update Facebook 1.2 is now available for download in the App Catalog and offers some great new features including notification support and “polish around the user experience”. 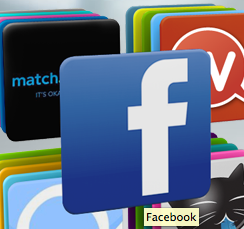 Facebook 1.2 for webOS is a free download from the App Catalog. Let us know how it works for you.